The Combat ID Thermal Panel (CIDT Panel) or Thermal Identification Panel (TIP) employs a proprietary material that reflects a "cold" Thermal signal that can only be seen by Thermal targeting sensors and Thermal surveillance sensors. The reflected cold image provides a simple marking method that identifies friendly persons, vehicles and equipment to air and ground forces. The CIDT Panel has two sides. The Thermal side of the panel, which is brown in color, and the CORDURA® protective side. The Thermal side works by reflecting the sky's energy. The Thermal sensor sees the reflected energy and displays a cold image to the sensor operator. 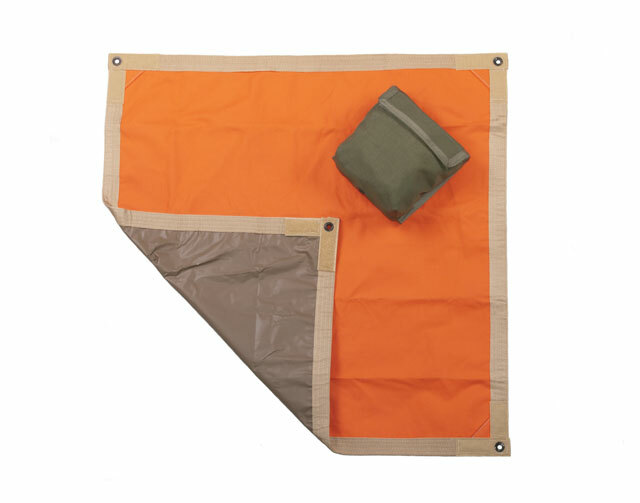 The CORDURA® protective side can be colored International Orange, so the panel can also be used as a visual signaling panel like the VS-17 Signaling Panel, or flat brown to maximize concealment. The Combat ID Thermal Panel can be deployed during the day or at night as a signaling tool. The Thermal material utilized in the construction of the CIDT Panel, and the Thermal Identification Panel (TIP) distributed by DRS Technologies, Inc. are the only Thermal marking panels manufactured from the same material used on the CIP Vehicle mounted panels. This the only material approved for US Army use by the US Program Manager for Meteorological and Target Identification Capabilities (MaTIC). Deploying CIDT Panels, in conjunction with CIP vehicle mounted panels, will provide the most uniform Combat ID marking signal minimizing IFF risk on the battlefield.